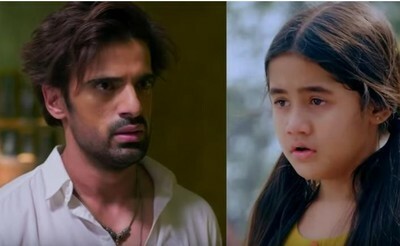 In the upcoming episode of Star Plus popular show Kulfi Kumar Bajewala loyal viewers will get to witness interesting drama. It was earlier seen that Sikander Lovely (Anjali Anand) Amyra gets ready for family trip where Kulfi (Aakriti Sharma) too joins them. Shockingly, they meet with train accident where Sikander(Mohit Malik) first save Lovely Amyra and then Kulfi. This will be the major turning point on the show as Kulfi realises that Sikander will always chose Amyra over her being unaware about the reality. On the other side Lovely gets very happy that Sikander (Mohit Malik) has finally chosen them over Kulfi. It would be really interesting to see what will be the conclusion of this realisation.